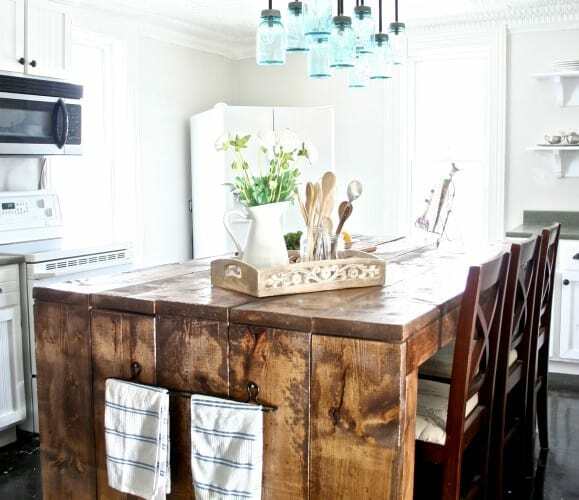 While a farmhouse kitchen often includes country and rustic elements, there are a variety of ways to stylize a ranch-friendly kitchen with pops of glamour. Whether you’re looking to design an elegant and updated kitchen or have a traditional cottage culinary center, there are a variety of ideas for inspiration. 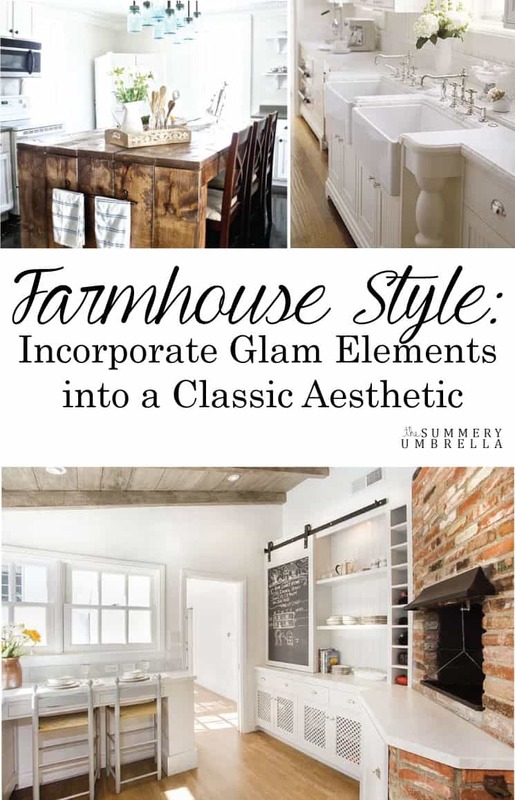 Here are a few glamorous elements that will give any farmhouse kitchen a chic and unexpected twist. 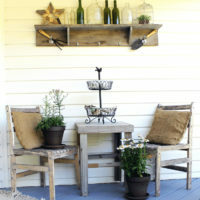 A Mason jar chandelier fits the motif of most country cottage style kitchens while adding fun and playful lighting decor. 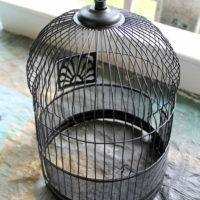 Whether homemade or store bought, this glass chandelier creates a vintage vibe. Rather than resort to the standard single sink, a more glamorous double farmhouse kitchen sink set is pretty and practical. 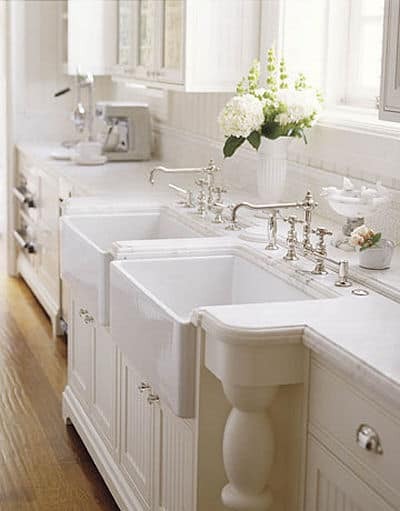 Blending perfectly with an all-white décor scheme, this sink duo is undeniably unique. Give a farmhouse style kitchen an extra dose of character and charm with a sliding chalkboard barn door. 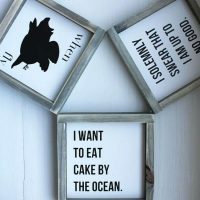 Perfectly suited for any cabinet space, this fun message board will delight kids and grown-ups. A smart choice for grocery lists, chores or daily reminders, this board flawlessly fits a farmhouse style. 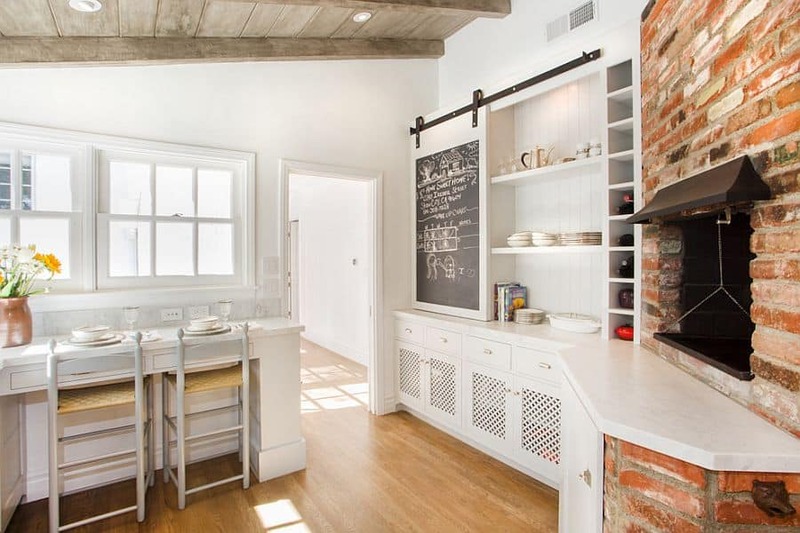 For those seeking to expand outside of the traditional farmhouse aesthetic, adding coastal and contemporary elements will reenergize any kitchen space. White marble frames a farmhouse sink while reclaimed wood stools are ideal for sitting atop rustic floorboards. 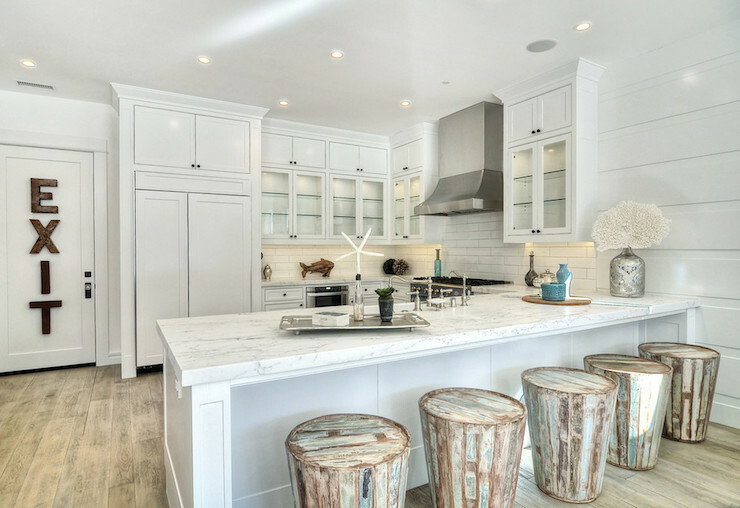 Copper pendant lights can add a barn-like feel with a twist of elegance. 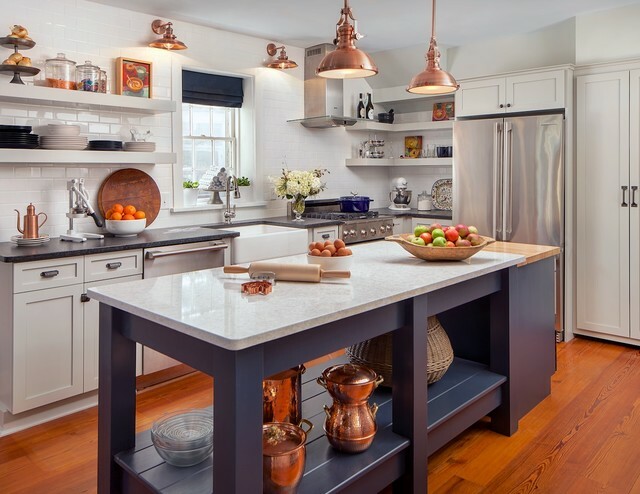 Perfect for kitchen islands or counters, these hanging copper fixtures give a modern kitchen more homey charm. Add a blitz of posh appeal with a brick fireplace and medieval chandelier. 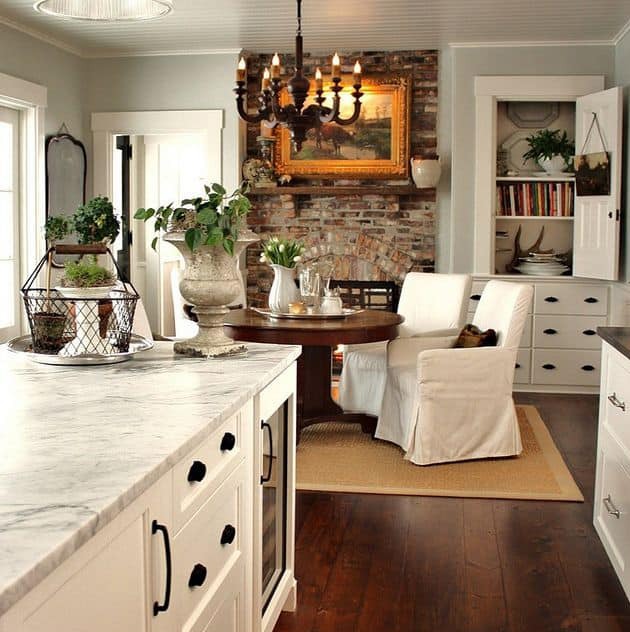 Perfect for outfitting a cozy farmhouse space, this kitchen is all about the splashy upgrades.